Discover the Spiritual REALITY of Your Life in Christ! This free, 3-part video miniseries will discuss what Jesus taught about being reborn and what difference it makes that we are primarily spiritual, not just physical beings. These sub-12 minute videos cover spiritual direction, living with God as our spiritual source, and what we mean by spiritual growth. It is a wonderful, casual, free foundation to our Life in Christ by grace along with some great discussion questions and follow-up opportunities. You are not primarily a physical being seeking a spiritual experience or improvement of material circumstances. Believe it or not, you are a spiritual being, called to live from union with God in Christ. All the fulness of the Life you are designed to live, and all God calls us to in Christ, is spritual and has incredible impact on our experience of every circumstance and relationship we encounter. 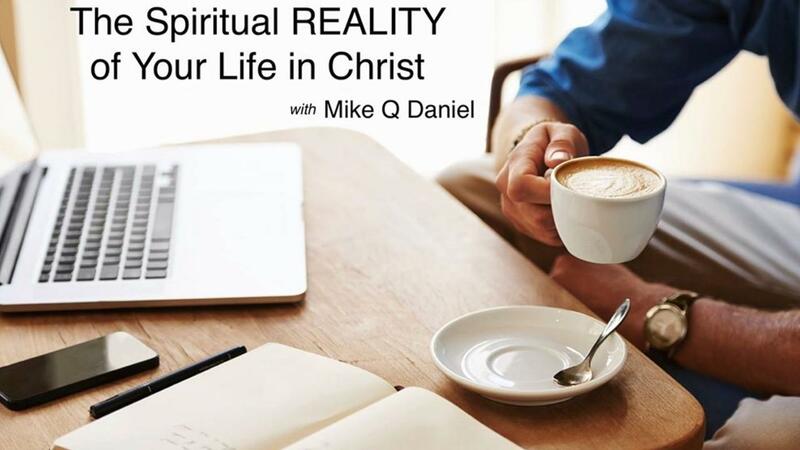 Join Mike Daniel of Zoe Code Ministries for this FREE, 3-part mini-series on living as Spiritual Being in Christ by grace. The Transformational Truth you will discover is that there really is no other life, and no other hope of God's glory besides the revelation of Christ in YOU!